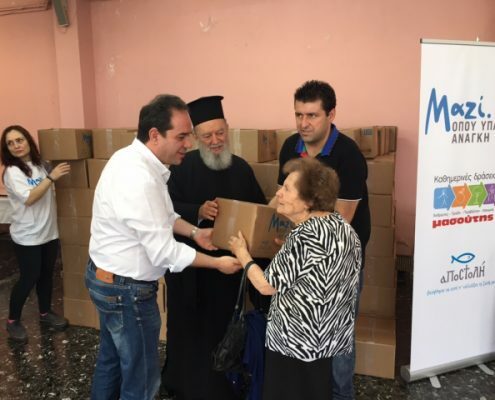 APOSTOLI made love offerings to 470 families in Ioannina, Chalkida and Lesvos, who live in extreme poverty, through the program “Together where needed”, partnering with “MASOUTIS” supermarkets and in collaboration with the Holy Metropolis of Ioannina and Chalkida. 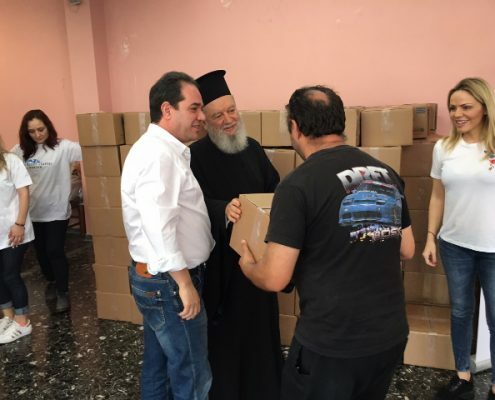 APOSTOLI General Manager, Mr Konstantinos Dimtsas, referred to the efforts of the Archbishop of Athens and All Greece, Mr. Ieronymos, and said that consistently, throughout the crisis, the Church unconditionally and with love has been supporting the people being tested. 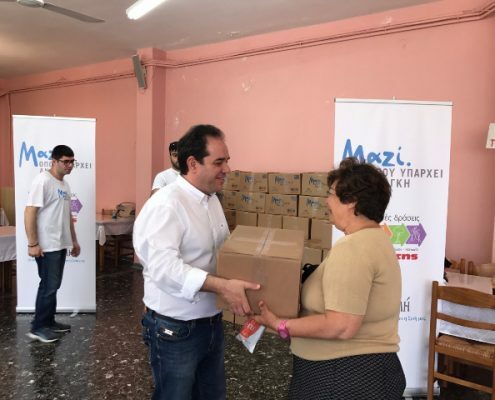 However, an even bigger problem than poverty is loneliness and APOSTOLI tries to help people not to feel disconnected, forgotten and alone. “Together where needed” program opens possibilities for substantial help and relief for Greek families striving to survive through the crisis. Mr Dimtsas led a team young people to deliver food to 167 vulnerable families at “Papa-Stratis Mission” in Kalloni, Lesvos, a Social Grocery inaugurated by Archbishop Ieronymos in April 2016 to cover primary needs of 200 families in need (destitute, families with many children, single-parent families with minor and adult children, solitary people, etc.). APOSTOLI was supported by AEGEAN AIRLINES to deliver this offer. 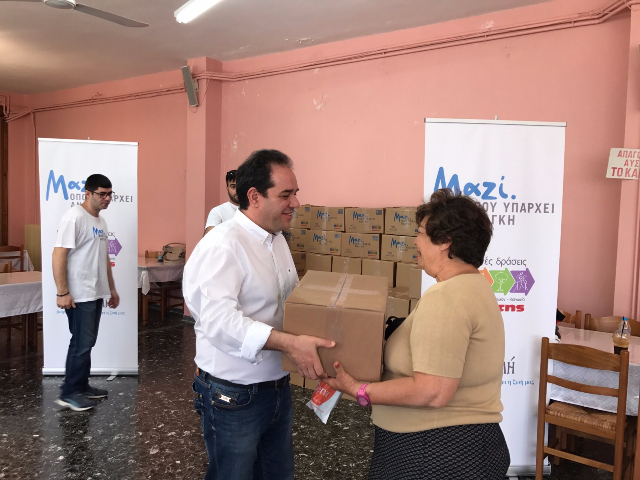 http://mkoapostoli.com/wp-content/uploads/2017/06/Apostoli_Masoutis_Ioannina_Chalkida_Lesvos4_web-1.jpeg 325 705 admin http://mkoapostoli.com/wp-content/uploads/2017/11/apostoli_logo_en_340x156.png admin2017-06-08 11:26:272017-10-27 11:26:56APOSTOLI supports vulnerable families in Ioannina, Chalkida and Lesvos"